KH2 had sea salt ice cream. KH3 will have the meats. Saw this earlier today and it was just fantastic. As much as I hate their food, they are KILLING it with these ad campaigns. 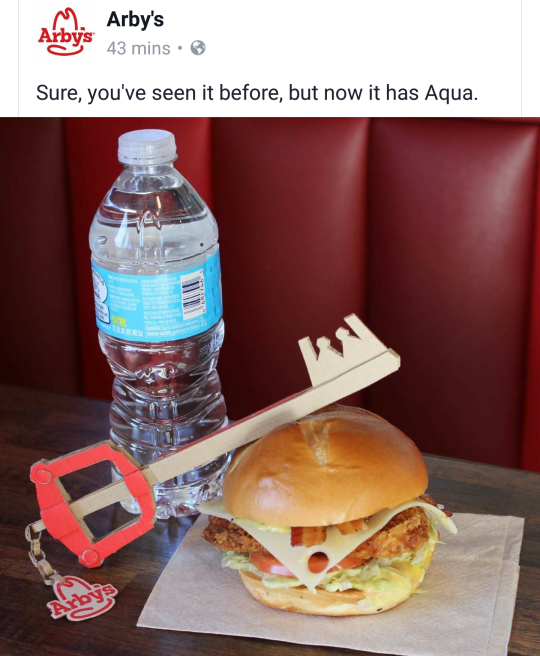 The only way this can get better is if there was an event at Arby's on March 2 where the entire place has transformed into Destiny Islands, everyone is dressed up as KH characters & you get a free cardboard keyblade when you purchase anything. I think now I'm giving Arby's a new kind of respect. I hope there's a nobody version later. Hmm, how about," you're my missing heart, without you I'm an incomplete Nobody." Maybes? "who will I have ice cream with"
"You make a good other"
"Hands off my meat sandwich"
"May your sandwich be your guiding key"
"My heart is a battleground"
I swear, Arby's is going to make one based on "May your heart be your guiding key" quote. And inside the Black Box is a bunch of coupons for Arby's that expired a day before the Keyblade War. 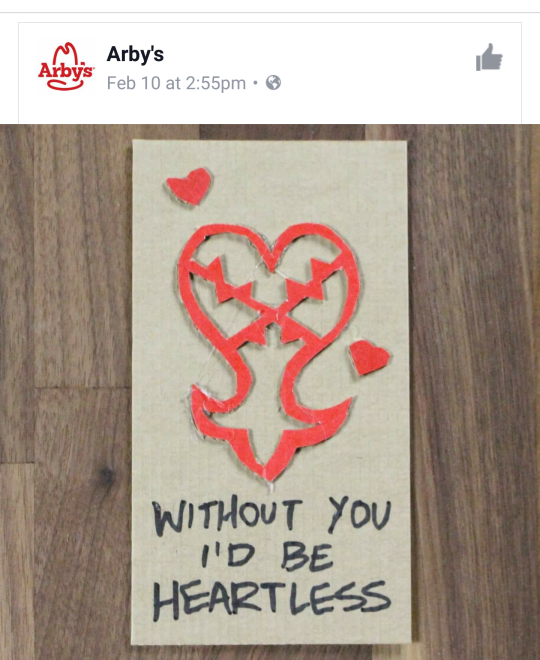 I think The CEO at Arby's loves kh and other video games.